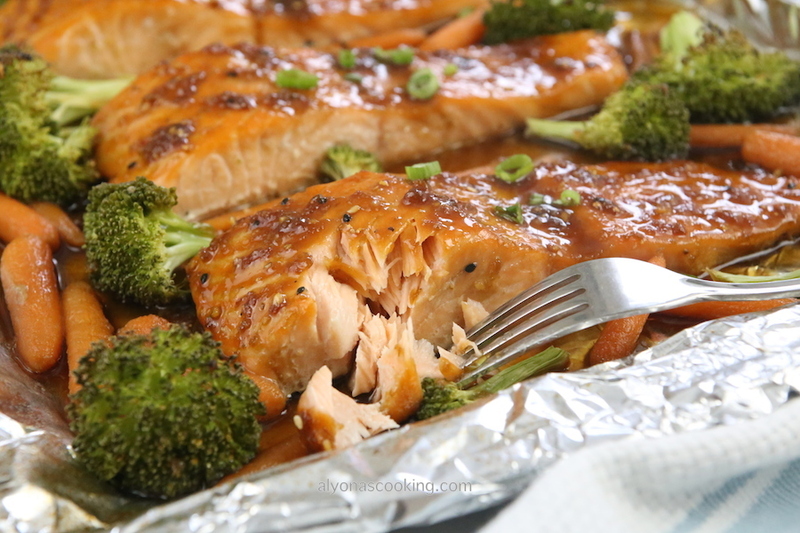 This easy one pan Teriyaki Salmon Recipe is made from a super easy homemade teriyaki sauce and baked along with broccoli and carrots creating one incredibly delicious dinner that can be served cold or hot, it’s so good. My mother who managed to finish a huge 2-3lb salmon with my sister in almost one day gave me the recipe to this incredibly tasty salmon recipe. 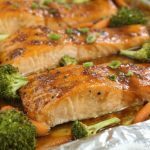 My husband totally approved this salmon recipe (as salmon get be a bit bland and dry, but not this one.) And if only the tail of a huge fish was left the next day from my mom making this fish, you can be sure this recipe is a keeper! I’m totally loving the semi-sweet and sticky Asian Inspired flavors going on and the veggies…. Oh there so good baked in all that good flavor. 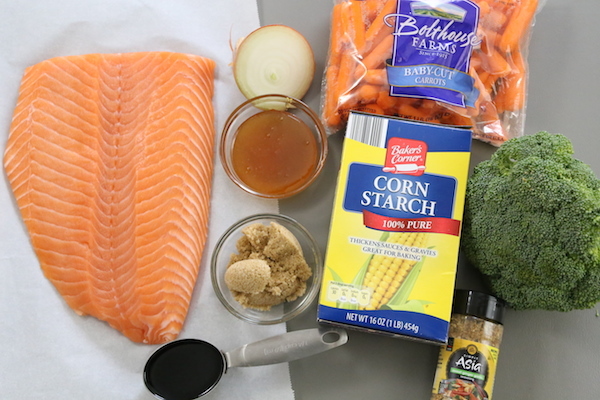 You have yet to try this super easy and quick one pan meal the next time you have salmon on hand. 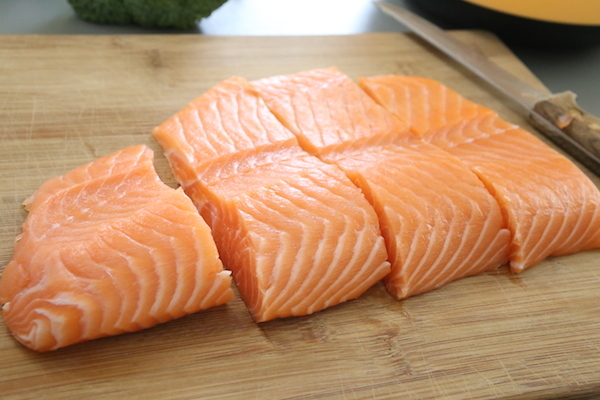 Cut Salmon into 2″ chunks. 2. 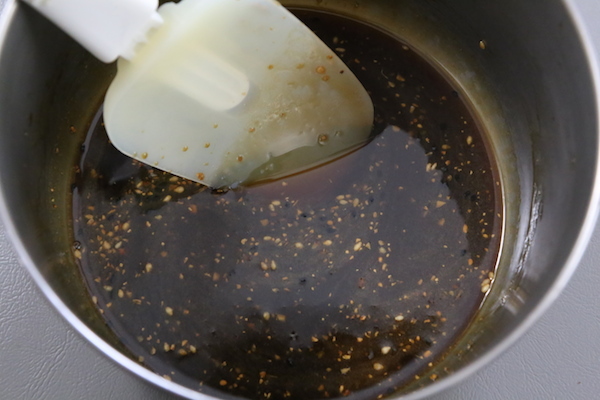 Whisk together the Teriyaki sauce ingredients except for the cornstarch and water. Set aside. 3. Finely grate the onion into a large bowl; add the salmon chunks and half of the teriyaki sauce. Toss until salmon pieces are fully coated; marinade for 30 minutes. 4. 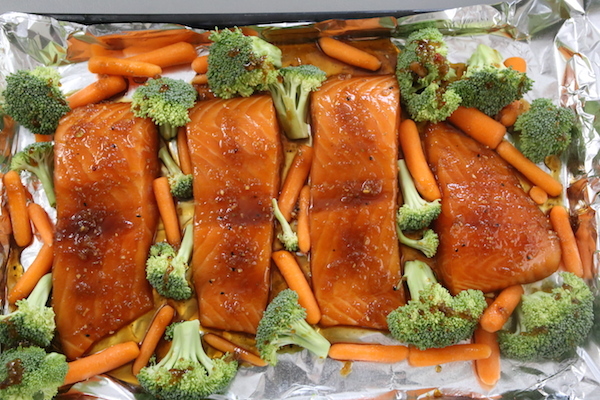 Preheat the oven to 420 degrees F. Line a baking pan with aluminum foil; arrange the fish and veggies pouring the marinade the fish was in over the veggies. Bake for 15 minutes. 5. Meanwhile in a small saucepan, heat the remaining glaze over medium heat until sugar dissolves. Mix together the cornstarch and water and pour into the teriyaki sauce. Stir until slightly thickened. Remove from heat. Cut Salmon into 2" chunks. 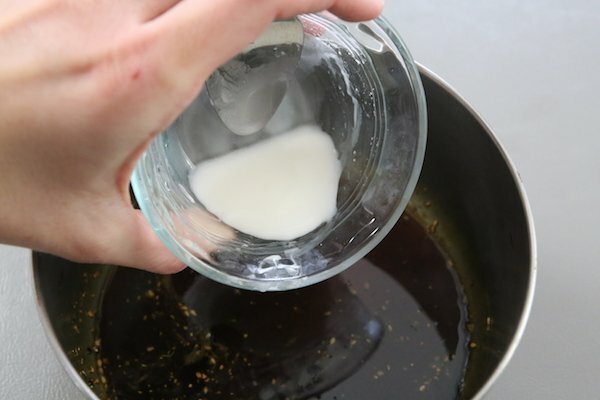 Whisk together the Teriyaki sauce ingredients except for the cornstarch and water. Set aside. Finely grate the onion into a large bowl; add the salmon chunks and half of the teriyaki sauce. 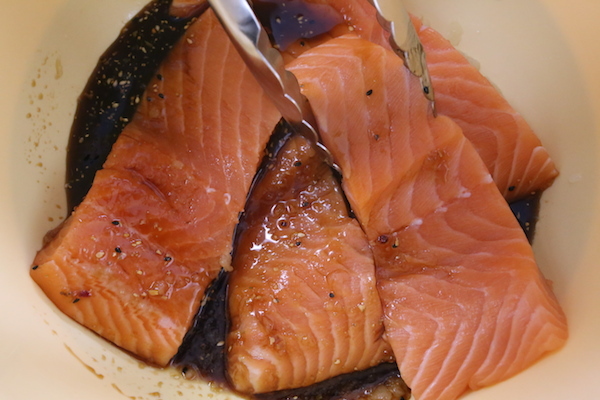 Toss until salmon pieces are fully coated; marinade for 30 minutes. 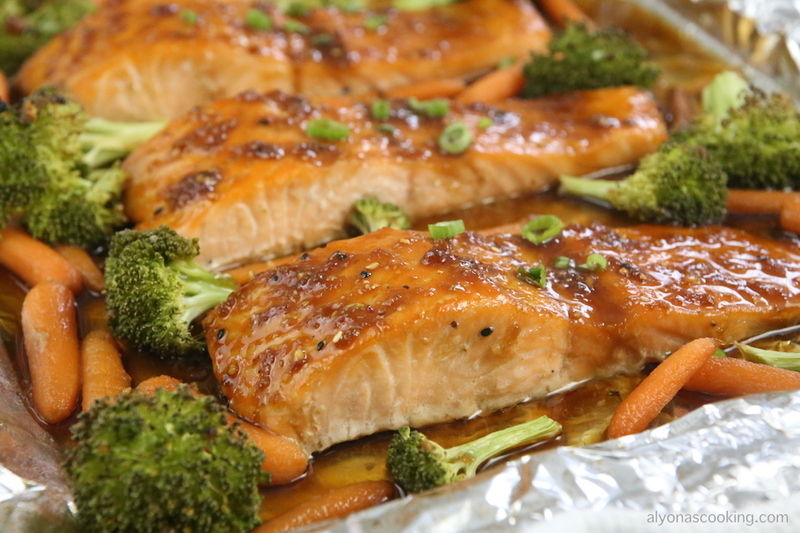 Preheat the oven to 420 degrees F. Line a baking pan with aluminum foil; arrange the fish and veggies pouring the marinade the fish was in over the veggies. Bake for 15 minutes. Meanwhile in a small saucepan, heat the remaining glaze over medium heat until sugar dissolves. 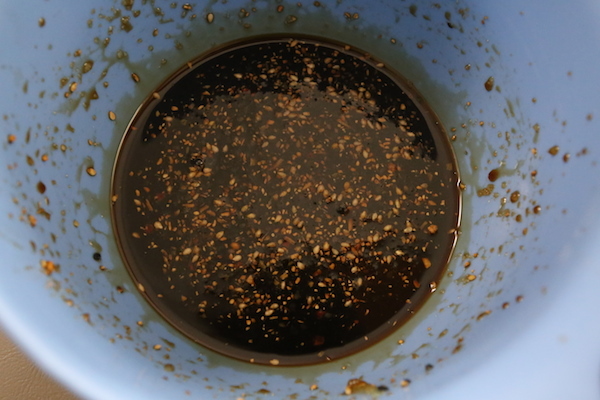 Mix together the cornstarch and water and pour into the teriyaki sauce. Stir until slightly thickened. Remove from heat. 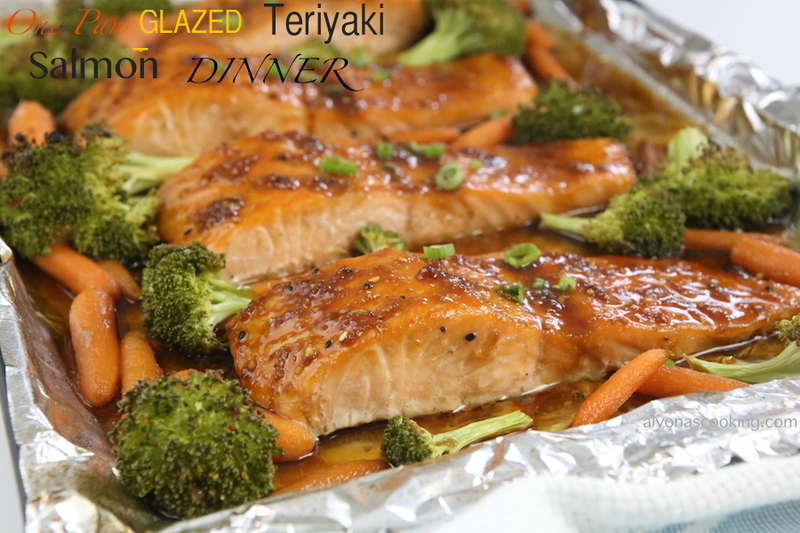 Glaze salmon fillets before serving and enjoy cold or hot.